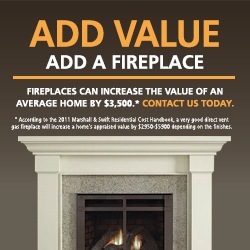 Reno Heating & Air Conditioning has provided Reno, NV with quality and service in the gas fireplace industry. Reno Heating & Air Conditioning stays current with design trends and building and safety changes to ensure that consumers, designers and architects have a solid source to turn to for their Heat N Glo Fireplace needs. From the beginning, Heat & Glo has been founded on innovation and advanced design. It started over 20 years ago with Heat & Glo invented direct vent gas technology, which made it possible to safely install a gas fireplace in virtually any room. But that was just the beginning - since that time Heat & Glo has continually created innovative new products and technologies to meet the changing needs and desires of homeowners. Heat & Glo prides itself on offering a wide variety of design choices. With more than 80 models to choose from, there's a Heat & Glo that's perfect for your home's décor. Styles range from traditional to modern, and everything in between.